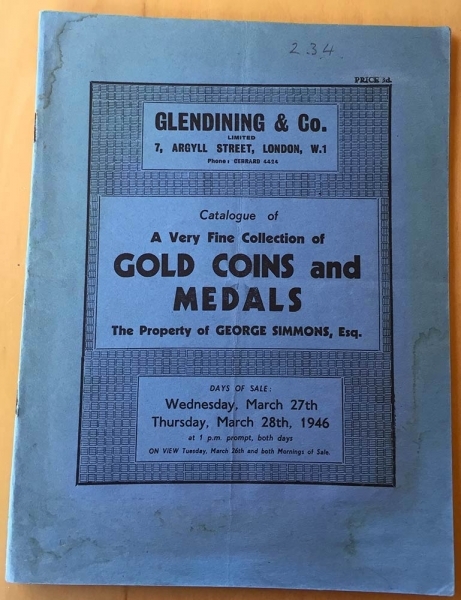 Glendining & Co. Catalogue of A very fine collection of Gold Coins and Medal. Glendining & Co. Catalogue of A very fine collection of Gold Coins and Medal. The property of George Simmons, Esq. 27-28 March 1946. Brossura ed. pp. 19 lotti 282, alcune note a penna. Buono stato.